2 Bedroom Flat For Sale in Harwich for Offers in excess of £196,000. 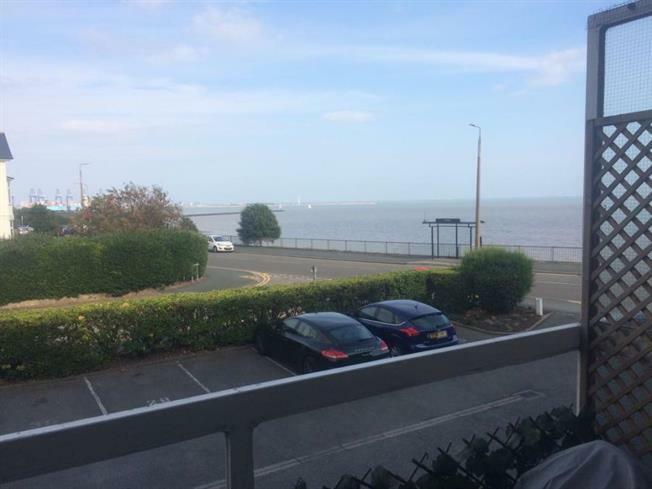 Bairstow Eves are pleased to offer this well presented sea front duplex apartment, featuring an open plan living room/kitchen/diner with a balcony overlooking Dovercourt beach, two generously sized bedrooms and a newly fitted bathroom. Upon entry to the property, there is a reception area with slate flooring. Well presented throughout, on the ground floor are the two light-filled bedrooms and a family bathroom, featuring marble walls and a panel bath with an over shower. A spiral staircase connects the two floors, and upstairs is the kitchen fitted with solid oak work surfaces, integrated appliances and an electric induction hob, as well as the spacious open plan living/diner and balcony. There is also a separate utility room. The property also benefits from two allocated parking spaces and a communal garden to the rear. Double glazed sliding doors to rear aspect leading to balcony with blinds, coving, laminate flooring with underfloor heating. Communal garden and parking for two.